Early (late 1700’s or early 1800’s) blue and white coverlet. Rare to find a three piece coverlet. Made when looms were smaller. 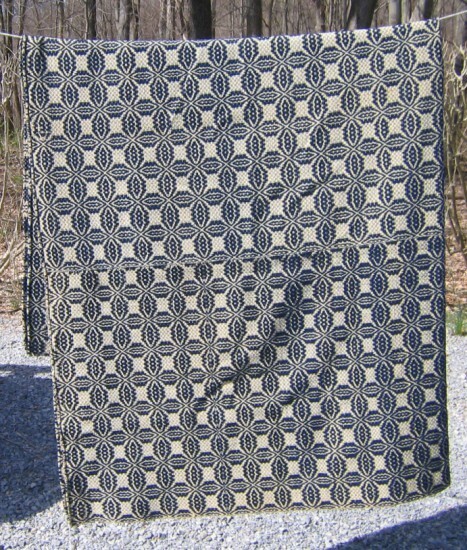 Similar to plate 29 in Penn coverlet book. “Chariot Wheels”? pattern. Large (94×93 in.). The image shows the coverlet folded in half. The coverlet is heavy, and I had no good way to hang it fully open without fear of damaging it. Excellent condition; one hole near border.